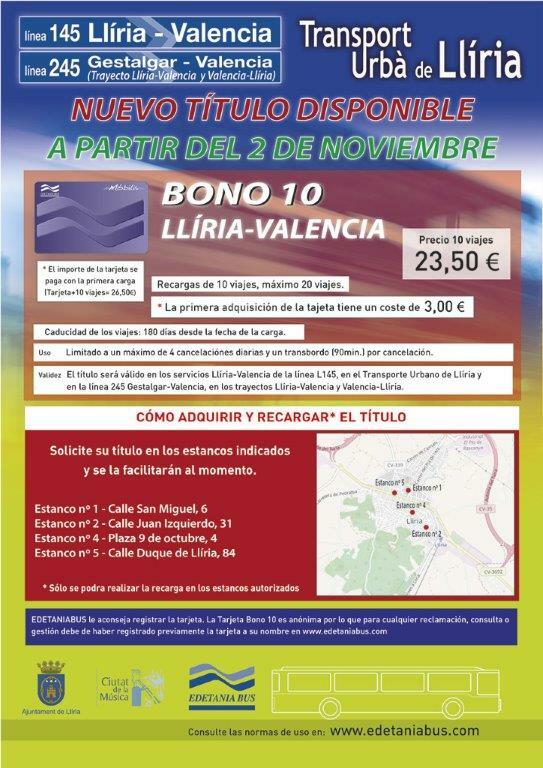 A PARTIR DEL VIERNES 2 DE NOVIEMBRE SE PONE EN MARCHA EL NUEVO BONO 10 LLIRIA - VALENCIA. - PRECIO 10 VIAJES 23,50 € - LA PRIMERA ADQUISICIÓN DE LA TARJETA TIENE UN COSTE 3 EUROS - LIMITADO A UN MÁXIMO DE 4 CANCELACIONES DÍARIAS Y UN TRANSBORDO (90 MINUTOS) POR CANCELACIÓN EL TÍTULO SERÁ VÁLIDO EN LOS SERVICIOS LLÍRIA - VALENCIA DE LA LÍNEA 145, EN TRANSPORTE URBANO DE LLÍRIA Y EN LA LÍNEA 245 GESTALGAR - VALENCIA EN LOS TRAYECTOS LLÍRIA - VALENCIA Y VICEVERSA. 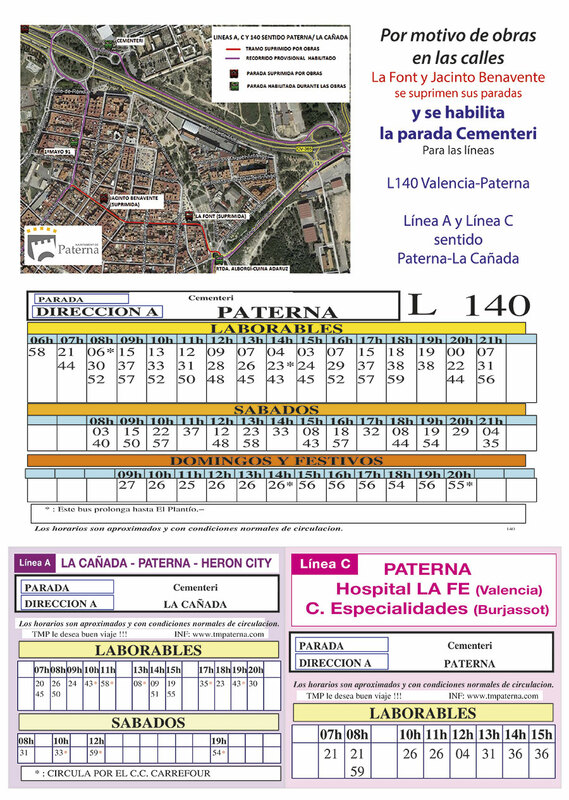 TODA LA INFORMACIÓN SE ENCUENTRA DISPONIBLE "DESCARGAR CARTEL" "DESCARGA INFORMACIÓN"